Hi it's Sokoda again and after a really long time, I have another G3 set concept for you! For a set of that size it really took me too long, but I changed a lot of stuff. 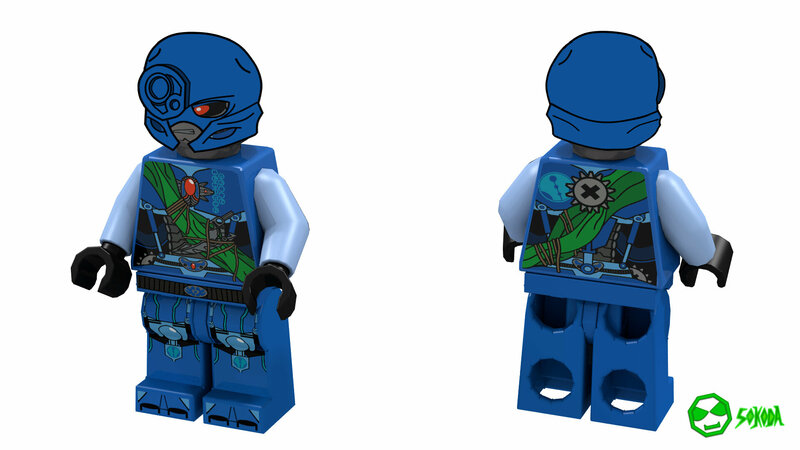 The new set has 519 pieces including the 4 masks,which I painted on to show what the real set would look like. 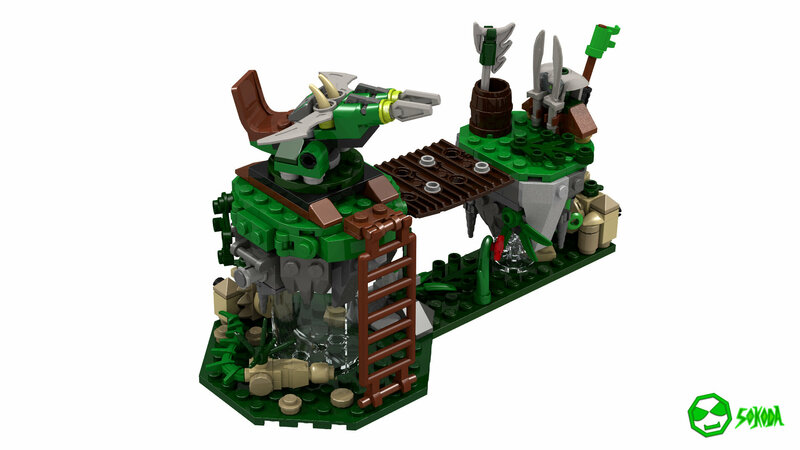 The Outpost consists of two floating rocks connected by a small bridge, it holds a shooting defense-turret and some weapons and armor. There is also room to fit some minifigures. 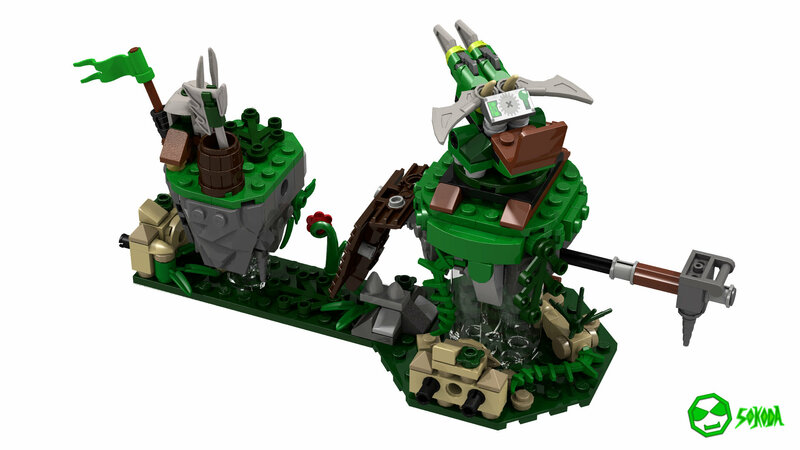 The turret also has connection points that allow it to be attached to some of my other set concepts. 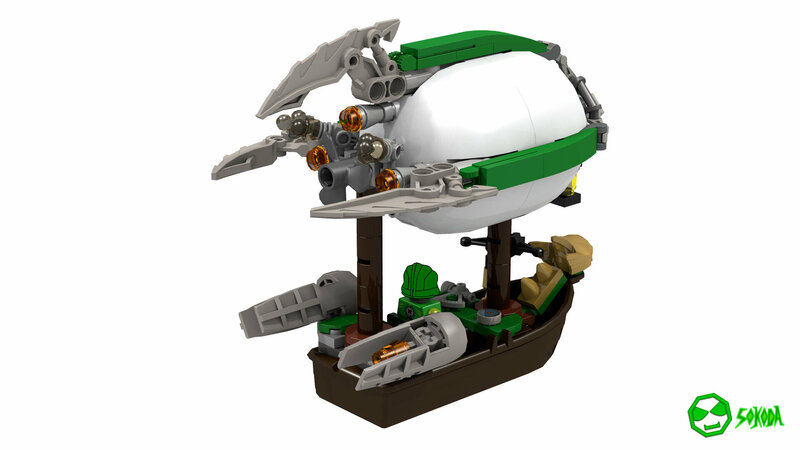 The airship fits one minifigure has movable Thrusters and a shooting crossbow attached to it. 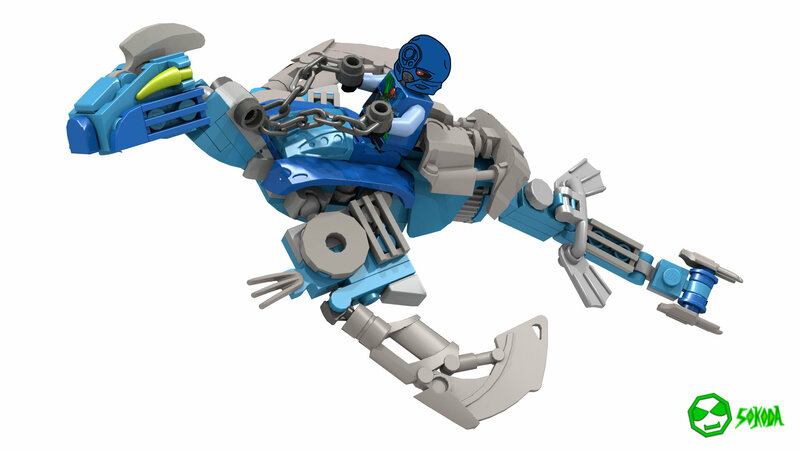 Inspired by the G1-Rahi, I built this little system Rahi for the Water Matoran to ride, it is very posable and uses a mix of constraction and system, by doing that, I tried to give it a biomechanical-looking design. Because it's a Kanae set, I included Lewa, same design as always. The Kanae guard is included as the pilot for the airship, I went with some brighter colors for him. For Kongu I added some more detail and some G1 references. Additionally he has some pinting on the Mask, but not as much as the Toa. I really like the new legs, but I couldn't use them in all pictures, because they are not yet in LDD. 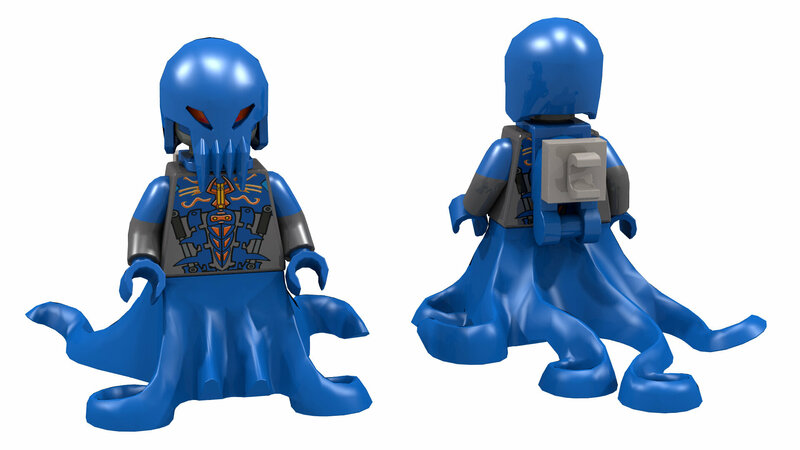 I didn't print the feet of the matoran with the medium legs, because there is not yet an official minifigure with the medium legs and printed feet, so maybe it is not possible. I hope you like my new set concept and please tell me if you prefer the medium legs or the long legs. Personally I prefer the medium legs. While I'm sure many can gather I am not the biggest fan of the G3 project for a multitude of reasons, the same can not be said for my opinion of this and other works like it you've done. Simply outstanding, I hope to elaborate in the future. Great work! I'm totally blown away by this!! This is great concept work, truly. The amount of time you put in to this shows and I really love that you: 1) designed the sets to combine in multiple ways & 2) demonstrated that here. 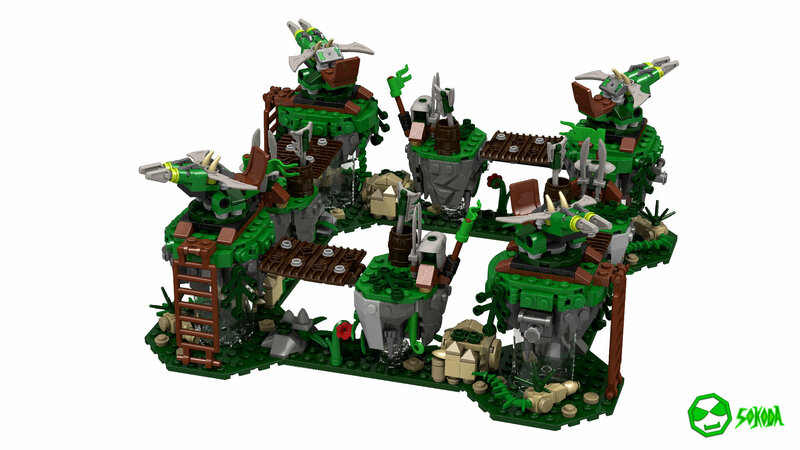 It's way cool that the set includes transparent pieces for the floating rocks and I like the design of the bridges, it's cool that you included an action in the set. I do feel like the air ship helps give another level of play to the set which is cool and appreciated. I love the inclusion of constraction pieces with this, it really helps it feel like Bionicle. 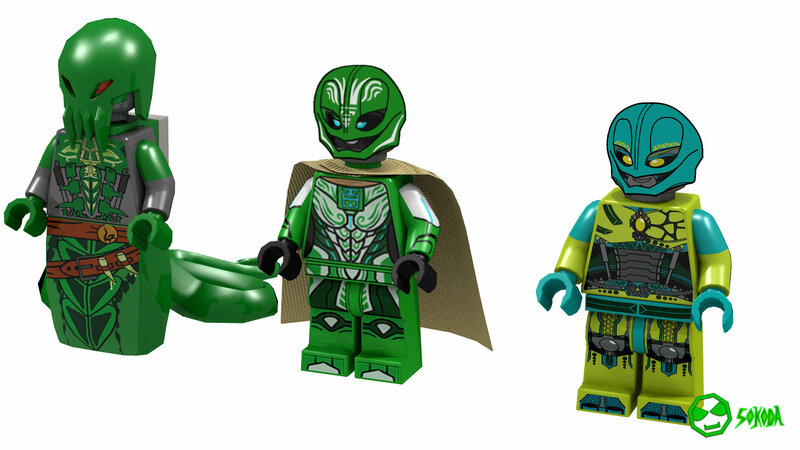 The matoran and toa designs are rad. Great job with the colors and excellent design elements in the torso print. You were able to make them look biomechanical without either not including enough visual elements or overloading the image with elements. The gear image on their backs is 10/10 for additional touch. The only thing that gave me pause was the Naho-Arbitor chest design. The tie that is holding the seaweed together at the sort of bottom right is a bit too dense for me. The one spot blends in to what's picture behind the seaweed (for my eyes) and it was at first confusing to understand what I was seeing there. 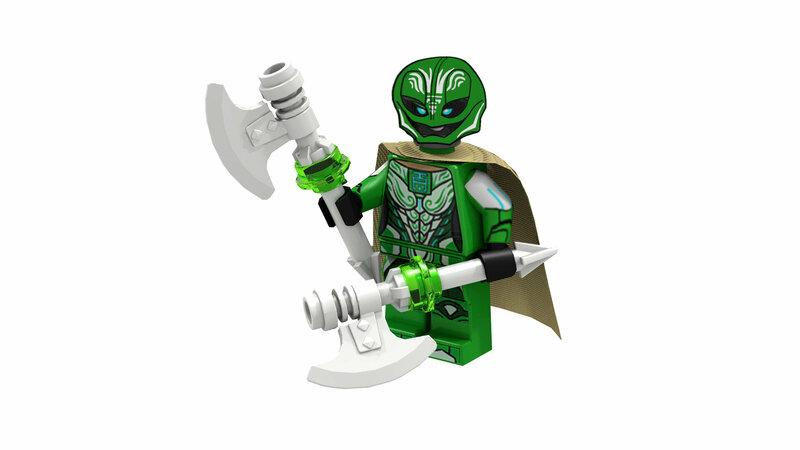 But otherwise I like him and think the seaweed is a good touch and I really enjoy the matoran writing! I would agree with the medium legs. Man, I really dig this. I hope everyone floods this with comments because this is so cool. 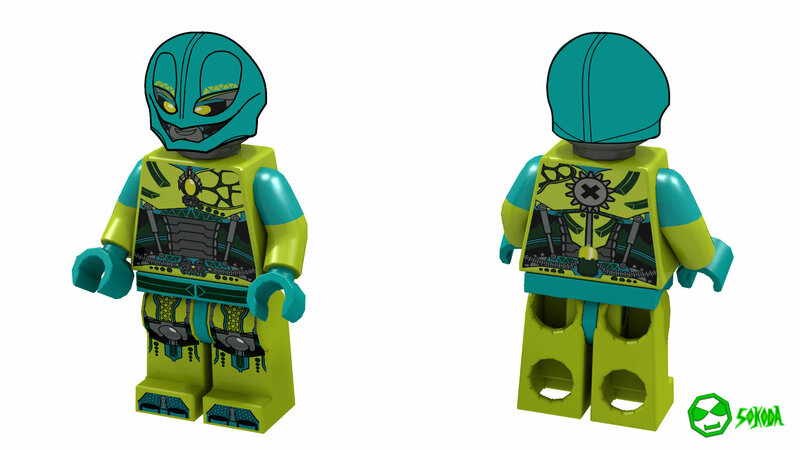 I hadn't thought about translating Bionicle to system before. I'm glad someone has and has managed to translate it so well. The Proto-Drake! I love it! YEEEES!!! THE LEGEND HAS RETURNED!!! Great work! Looks awesome as usual! Sokoda, this is amazing. I absolutely love this, it's truly brilliant. That airship is stunning, the Proto-Drake is amazing (bestiary update time! ), and the colours, the landscape, it all feels just so unique! There's always so much packed into these little things, it's a joy to look over them all. Now, as for a blurb...(I'm just spitballing here of course, but it's fun to speculate). The Rahkshi Guurahk has tricked an Arbiter into attacking a Kanaean Outpost! 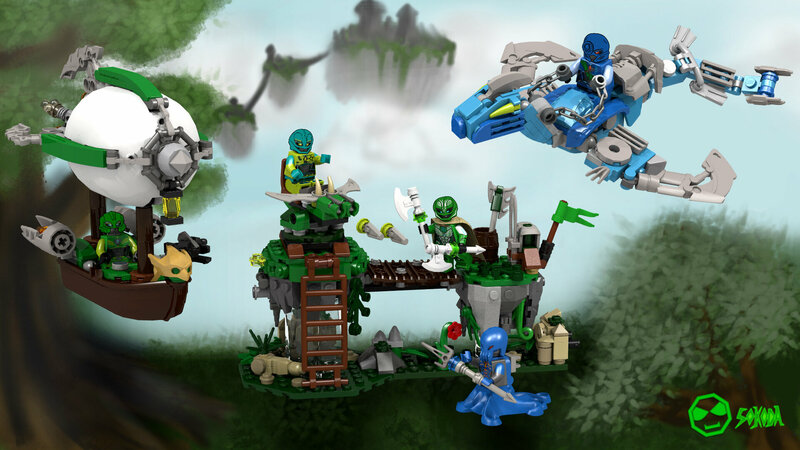 The heroic Toa Lewa and Captain Kongu man the outpost's turret to stop Guurahk, while the Airship takes on the Arbiter and his Proto-Drake in the skies! Fantastic work as always my friend, I gotta say I love that airship. Please, stop this. 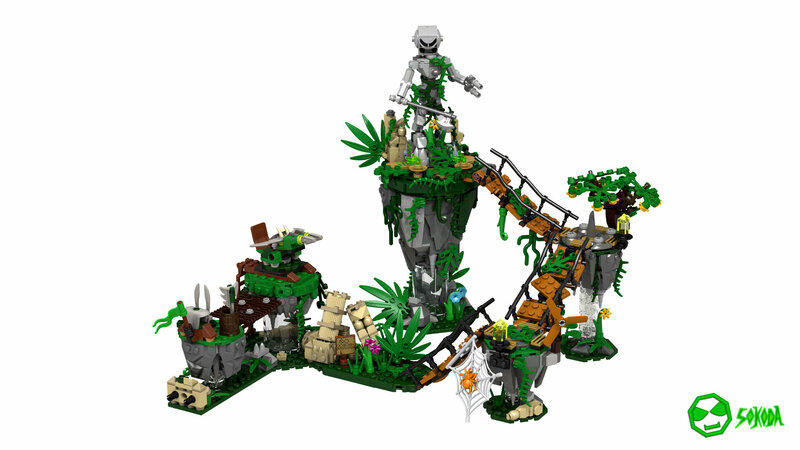 It's illegal to make such an amazing sets. Words cannot express just how masterful they are. 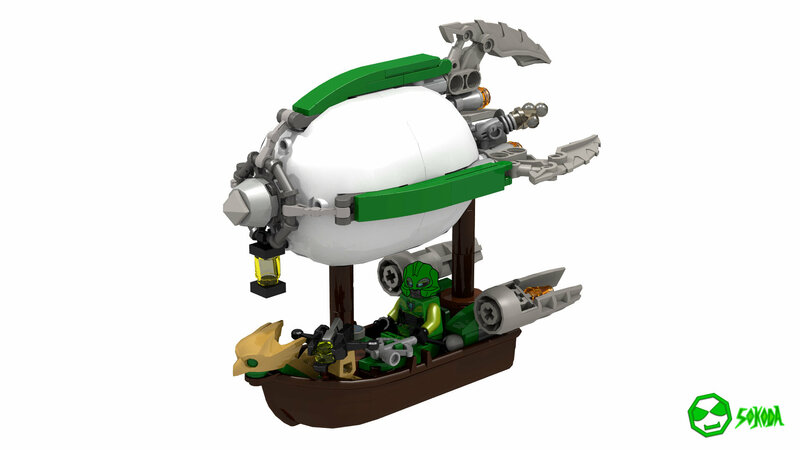 Are you planning on applying to LEGO in the future? this is amazing. keep it up. you are fantastic at making these. Amazing, I am glad to see this is still going and man your sets are improving. I can picture this on shelf. I wish the story part of this project was not dead, but we still have the set part and they are still amazing. On the subject of the legs, I'm conflicted. On the one hand I enjoy how the Toa now are kinda just a minor-ish upgrade, and that due to the Matoran being the most common figures, they'd be at the default size for minifigures, but also the Geewunner in me is telling me how good that looks. 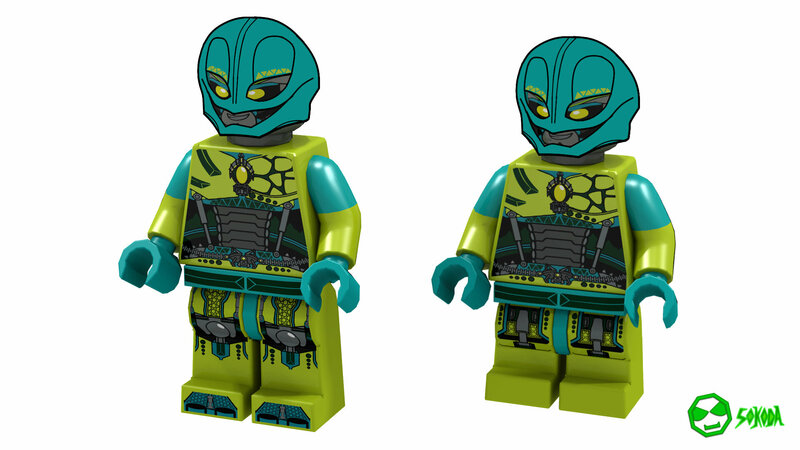 What I think would really help would be to see a comparison between a Matoran, Toa, and maybe one of the Rahkshi just to see how they look together. Yeah, it does, cheers. 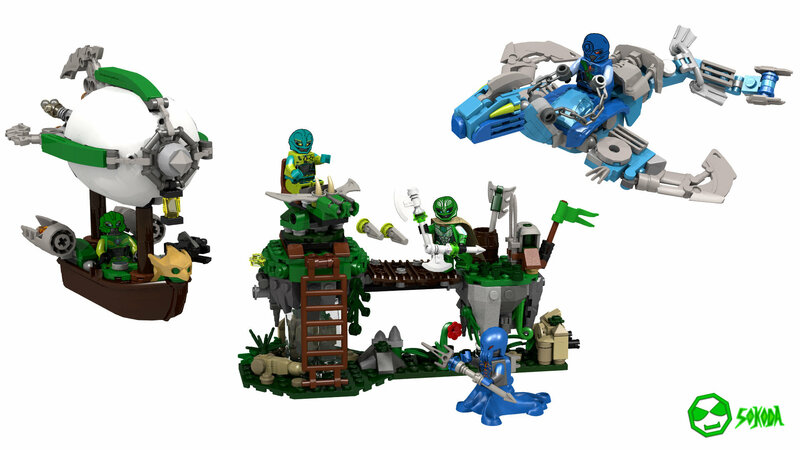 And really both have their pros and cons, but I think overall, long legs works better for the Matoran in this setting. Well, you're awesome too! 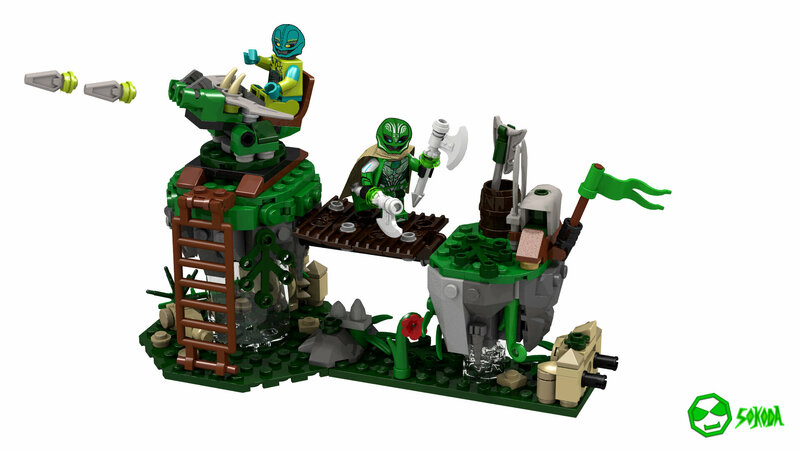 And even with piece restrictions, there still can be some good sets.